Smartphones are making our work easier. From serving as a personal digital assistant to an enterprise desktop computer’s substitute, they now hold a significant role in everyone’s day-to-day life. With the exponentially increasing smartphone user across the globe, the scope of usage and the applications of these devices are also increasing. However, on a counter note, mobile security threats and security-related issues associated with these devices are also growing rapidly. Mobile malware is now one of the top priorities for every company, considering the increased number of cyberattacks and incidents. As per a survey by McAfee Labs, more than 16 million mobile malware incidents were registered in the first quarter of 2017, which includes over 1.5 million new and unfamiliar mobile malware attacks. By mobile security, we’re not just talking about smartphones. All portable digital devices such as tablets, smart wearables, and other PDAs are included when we’re speaking about mobile security. We use these devices to store our secure and sensitive information such as credit card details, banking credentials, and other digital information. Moreover, enterprise users have started using mobiles to log in to the enterprise network to carry out their work, so crucial workplace data is also being stored on these devices. With the increased usage, power, applications, and BYOD (bring your own device) policies in enterprises, mobiles serve as easy prey for hackers not just to steal our valuable data but also to serve as a means to intrude into a secure enterprise network. Here are the top mobile security threats to watch out for in 2018. Corrupted or malicious mobile applications serve as one of the most common and easiest means for intruders to gain access to mobile devices. Often, users install apps from untrusted or third-party sources, which might contain malicious applications. Users need to be very cautious while allowing permission grants to applications and only the bare essential rights must be given. The lesser the privileges granted, the lower the impact will be. All users, especially enterprise users, need to make sure that they install apps only from the trusted sources. Users need to check and monitor the apps and their status regularly. If an app is no longer supported by their OS-specific authorized app stores such as Google’s Play Store or Apple’s App Store, then these apps must be uninstalled. Malicious mobile applications can contain malware or Trojans, which can perform the following actions without the user’s knowledge. Collect, store, and send the sensitive information from the device to third parties. Take control of the infected devices. Download and transmit malware to other connected devices or the network. A mobile bot is similar to a computer bot in which every infected mobile device is added to a network of bots creating a botnet. All the devices in a botnet are controlled by a hacker or a cybercriminal known as botmaster. Mobile botnets can infect a device from malicious emails, applications, websites, and various other sources. If your device doesn’t have a proper antivirus installed, you are increasing the risk that your device will become a victim of these malicious bots. Once installed on a mobile device, these bots start to gain access to the device and start to form a chain of networks with other infected devices. Mobile bots can have a severe impact and can cause ad frauds, distributed denial of services, data leakage, and more. Ransomware is not just confined to desktops and laptop computers — it is also one of the fastest-growing mobile security threats. 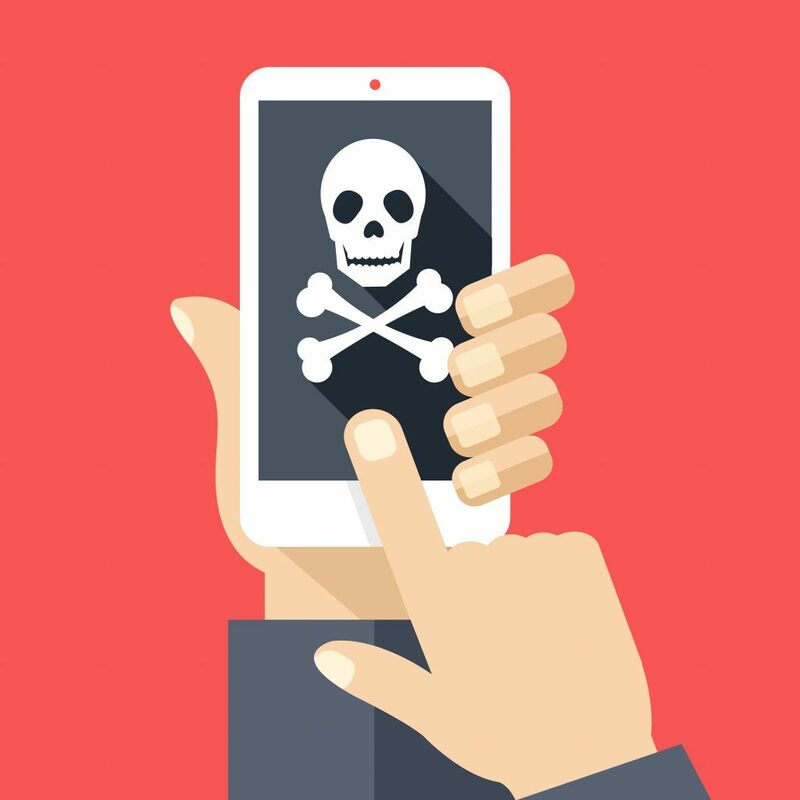 Mobile devices such as your smartphones and tablets can also be a victim of ransomware. 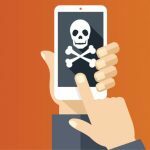 Ransomware in mobiles is almost the same as it is in computers. A hacker or an intruder encrypts or steals data from the mobile and demands a ransom from the victimized users for decrypting or unlocking it. With the increased usage of smartphones, a lot of valuable information including banking details, personal multimedia content, passwords, and other credentials are being stored on mobile devices. Mobile ransomware started to surface in 2014, but since then new and advanced forms of the malware are on the rise and spreading very rapidly. To avoid ransomware, always keep your devices updated and never overlook any software, security, or version upgrades. There are various antivirus and mobile security applications for mobile devices that are effective in defending against ransomware. Phishing is probably the most common mode of security breaches for both desktop computers and mobile devices. It is a means of corrupting devices by transmitted malware using malicious links in electronics communications or using the Internet. Phishing is an effective mode of obtaining secure information or installing malware on a mobile device. 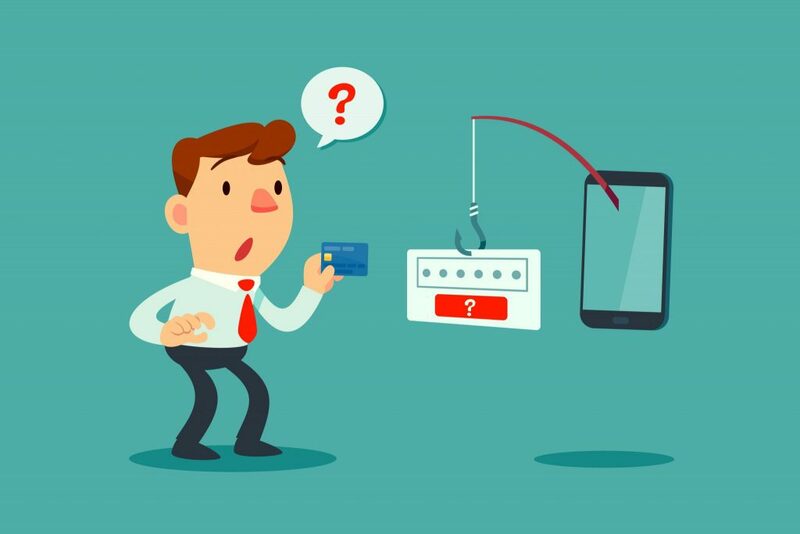 And since mobile devices are almost always powered-on, they serve as a better and easy prey for phishing compared to computers. Ad and click fraud is also a form of phishing attack. To be on a safer side, never click on any links provided in emails from untrusted senders. Always check the sender’s email ID before opening any link or attachment provided in the mail. Often, phishing emails resemble authentic emails. Therefore, users carefully need to first verify if the content in the mail or on any website is genuine. The Internet of Things is evolving and so is its malware. Although IoT-based malware and viruses, especially as mobile security threats, are still in their infancy, it is expected to grow into a much more potent threat before 2018 is done. Most connected devices and sensors that are an active part of IoT can be controlled by smartphones. This means mobile devices are an easy access to intruders who can corrupt the entire system. If the target was a system or a group of systems within an organization or an enterprise, the security architecture or advanced firewalls and antivirus systems can typically tackle these cyberattacks. But how secure are our mobile devices? Are we taking the right measures to stay safe? There are certain ground rules that need to be followed to minimize mobile security threats. They include monitoring background application activities and data usage, not connecting to untrusted public networks, being updated, and restricting the physical access of the device to strangers. Mobiles and their usage are increasing at an exponential rate and so are its security threats and malware. No security expert or service has got us covered completely when it comes to securing these devices against all mobile security threats. It is our duty as an individual to stay safe and stay secure.